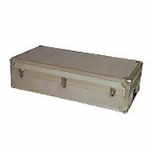 The Fujinon Aluminum Case is ideal for 25/40x150 scopes. 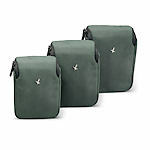 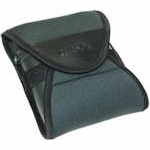 The case is made of aluminum and padded inside to exactly fit the intended binoculars. 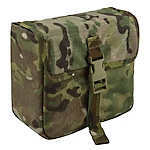 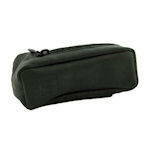 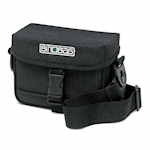 Deluxe Binocular Case 30mm: The Steiner Deluxe Protective case is available in sizes to fit 30mm objective lens binoculars. 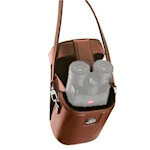 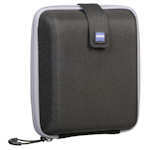 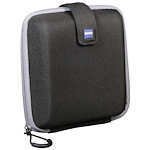 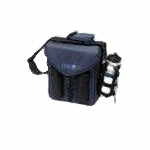 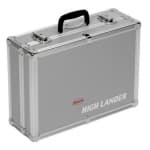 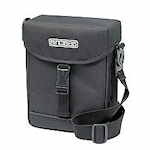 Steiner Deluxe Binocular case is designed for a Roof prism binocular with a 42mm objective lens. The Steiner BINOBAG Large Cordura Bag holds 10x50 and 7x50 short barrel models like Military/Marine, Police, Marine, Commander, and Tactical series. 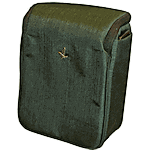 Also holds Commander models with compass. 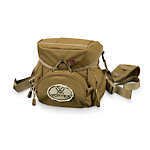 The Steiner BINOBAG Medium Padded Ballistic Nylon Bag holds 9x40 and 12x40 long barrel models like Bighorn, Predator and Safari. 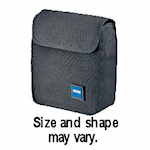 Measures 9x8x4 inches, interior 6.75 x 2 x 8.5. 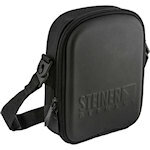 The Steiner BINOBAG Small Soft Padded Cordura bag with strap holds all models up to 7x35 in size, including all 6x30 and 8x30 models. 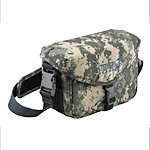 The Swarovski Field Bag Pro-L for EL Binoculars and Rangefinders features a water-repellant Nylon exterior, zippered pocket, and removable shoulder strap. 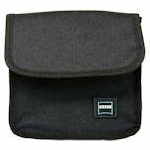 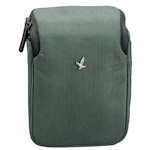 Cordura Pouch for the Zeiss 12x45 and 15x45 Conquest Series Binoculars. 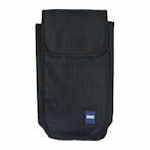 Cordura Pouch for the Zeiss 8x30 and 10x30 Conquest Series Binoculars. 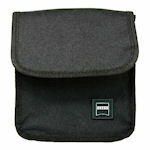 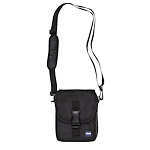 Cordura Pouch for the Zeiss 8x30 and 10x30 Diafun Binoculars. 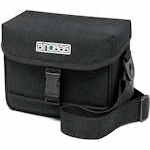 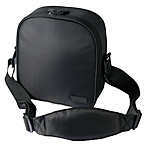 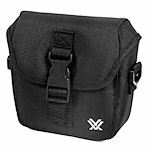 Cordura Pouch for the Zeiss 8x50 and 10x50 Conquest Series Binoculars. 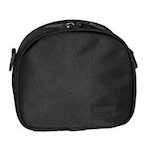 Cordura Pouch for the Zeiss 8x56 and 10x56 Conquest Series Binoculars. 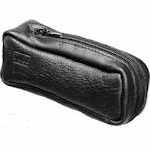 Leather pouch for the Zeiss 3x12B Tripler & 4x12B DS T* Monoculars. 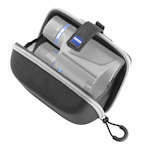 The Zeiss Pouch for Terra ED Pocket Binoculars also fits older 25mm pocket binoculars like the Zeiss ClassiC 10x25 Pocket binoculars. 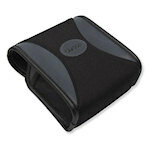 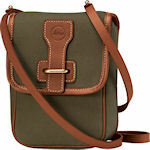 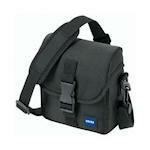 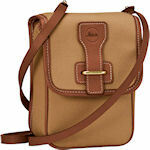 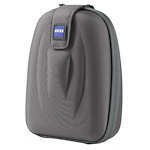 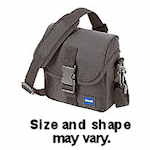 This Zeiss soft leather pouch fits both the 6x18B and 8x20B Design Selection monoculars.